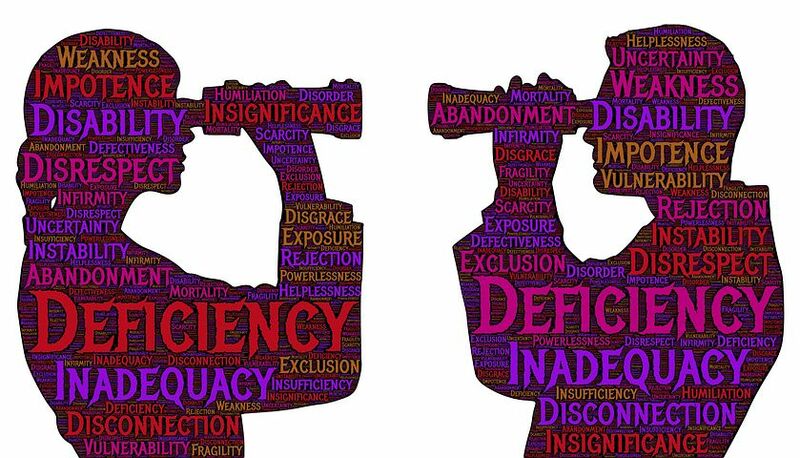 The dictionary defines criticism as the expression of disapproval of someone or something on the basis of perceived faults or mistakes. 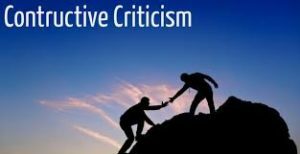 Constructive criticism is however defined as a recommended set of instructions that aims to collaboratively improve the overall quality of a product or service. Often containing helpful and specific suggestions for positive change, constructive criticism is highly focused on a particular issue or set of issues. Criticising can be an easy thing to do, especially when it’s about something you didn’t create. At almost every turn in the global world, we will encounter a customer, person or work that we think could be better and we don’t sometimes think through before voicing our opinions; we want to tell them how to do things better, even if they don’t want to hear it. 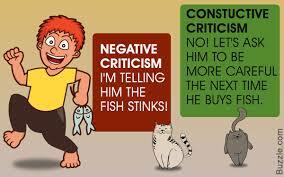 Criticism can be a good thing when used in the right way. It’s not all bad news because it can make things better. That is what constructive criticism is about. Of course, sometimes, it seems as though there’s no nice way to go about it, especially if the object/person is not up to the expected standard, but the following points are aimed to help you. Enjoy!!! 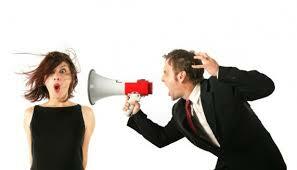 The first thing to understand when you have to criticise is the need to communicate. Give your opinion because you want the person to know that their work has been seen. It may be difficult to know exactly those who have seen a work when those who do, don’t get back to the right persons. This way, subjects do not know if their target audience has been reached and pleased. Have a good reason for stating your opinion; not just because you feel the need to talk. This may end up having a negative effect on the listener and have him turn away from your criticism. Don’t speak randomly. Know exactly what you’re trying to correct so it won’t look as if all the work turned out wrong. This can discourage and slow down progress. It is wiser to criticise in private, if possible. Doing so in the presence of a crowd may cause embarrassment or humiliation. The best way to help release tension is with appropriate humour. You may talk about something funny during the presentation or viewing of the work, or recall an amusing incidence. You could also talk about your own personal experience of similar silly mistakes. This helps the subject relate to your humanity before addressing his or her own inadequacies. Your subject has a strong inner voice during a critique and is likely anxious, so keep your critique brief and to the point. The more you say, the more likely you will distract from the key points and make them hard to remember. You may plan your conversation in advance and in writing so the subject can walk away with clear directions on how to improve. Be careful not to be too brief as well as this may turn out awkward and seem like an attack as it may sound forced. The character of the creator/subject should not be the target of your critique. Know how to separate the subject from his work. Don’t judge the work based on your knowledge of the subject. It is possible that his mistakes are as a result of his personal outlook on life but be careful not to criticise both when doing so. Correction of personal outlooks should be done in another environment where the subject won’t think that you’re making fun of him. It may come easily to quickly jump to conclusions on the subject and his work but avoid it. It will help to make findings and ask questions before the critique. As you didn’t co-create the work, you wouldn’t know what kind of preparations that have been made. If any assumptions are to be made at all, it should be your own about how the work will turn out if the subject takes your criticism well. More important is the need to put yourself in the shoe of the person you want to criticise. How would you feel if someone addressed you in the manner you want to address others? Good? Proud? Grateful? Remember the golden rule: do unto others what you want others to do unto you. Thanks for reading! Hope you’ve learned a lesson or two? Don’t forget to drop your comments, questions and thoughts.